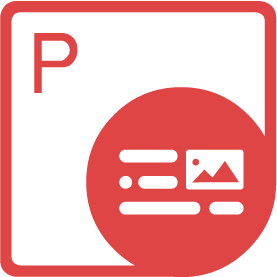 Generate, View, Manipulate and Convert PDF documents to multiple formats within mobile apps without any Adobe Acrobat dependencies. You can easily install Aspose.PDF for Android via Java from Maven by adding the following configurations to build.gradle. Aspose.PDF for Android Java is a PDF Processing API that enables the Android apps to read, write, manipulate & render PDF documents. API supports working with PDF, HTML, TXT, EPUB, XPS, image file formats and more. Aspose.PDF for Android via Java API is an affordable solution that offers PDF compression options, support for graph objects, extensive hyperlink functionality, extended security controls, custom font handling, integration with data sources, bookmark features, ability to work with attachments, annotations, text & images and much more. Some of the advanced capabilities of Aspose.PDF for Android via Java. Aspose.PDF for Android via Java can be used on following platform. Aspose.PDF for Android via Java API supports most commonly used file formats. Aspose.PDF for Android via Java offers you the capability to create PDF documents from scratch as well as manipulate existing PDF documents. When it comes to PDF generation, you can convert text or image files to PDF format. Moreover, you can create tables as well as specify the table width, margin information, padding, row span, column span and default cell text. You can also create nested tables, and even integrate tables with database sources. With as little as 2 lines of code, you can implement robust PDF to Word, PDF to XPS or PDF to HTML conversion features for your Android apps. Aspose.PDF for Android via Java provides many features to manipulate PDF file content. You can add, remove, update and delete text, images, bookmarks, hyperlinks, attachments, annotations and much more. It also supports adding, moving, renaming and deleting PDF form fields or change the visual appearance of a form field, specify attributes like mandatory, hidden, read only and so on. Import or export form fields and their data to and from XML. Integration with database lets you import and export form field contents to or from a data source or submit form fields data to an external web link. Aspose.PDF for Android via Java supports different types of graphs. Graphs can be drawn on any page location specified by coordinates and existing graphs can be rotated and scaled to suit your requirements. You may also try converting images residing on disk, memory or web location, to PDF format. Along with conventional image types, CCITT (fax) images, multi-page TIFF images and transparent GIF images are also supported. Along with hyperlink creation, you also get the capabilities to extract hyperlinks from a PDF document. Aspose.PDF for Android via Java offers the facility to encrypt PDF documents with either 40-bit or 128-bit encryption. You may also set master and user passwords for further PDF security.  Content modification in PDF documents such as content copying, PDF printing, form field completion, degraded printing, annotation modification as well as PDF document assembly can all be restricted by using Aspose.PDF for Android via Java. Why Aspose.PDF for Android via Java?